Many of you may remember the HBO Films documentary by Chris Rock titled Good Hair, which he was inspired to make because of his daughter, Lola. According to Chris, one day his daughter came to him and said that she did not have good hair and wanted to have hair like her friends at school. He said “I wonder where she got that idea from?” and set out on a two year journey to get to the bottom of this good hair concept. In the documentary he sits down with various comedians, actors, business owners (at the time there were only four black owned hair care companies and that number has grown dramatically since) and scientists, where he discovers and exposes the dangers of sodium hydroxide, which is the main ingredient in relaxers. Another surprising discovery is there was once a secret weave society! Chris Rock travels all the way to India where he learns that hair is the most profitable export they have. Many women in India sacrifice their hair to get blessings from God through a process called tonsuring. Tonsuring involves shaving the hair completely off the scalp. Most of the women who participate in this ritual are poor and will never see any profits from their hair being sold in Europe and America. An astounding statistic in the film is that black women in 2009 made up 20% of the population but spent 80% more than other races on hair (weave) and hair products. According to the documentary, hair was reported to be a 9 billion dollar industry, with 60%-70% of it being distributed as weaves. The cost of weaves can range from $1,000-$3,500 a unit and in some places its even pricier. The fact that there are lay-away plans for weave speaks volumes! In 2009 when the documentary premiered, The Tyra Bank’s talk show discussed the documentary and hair in the black community. Tyra debuted her natural hair in cornrows which was uncommon for her because she normally wore weaves and wigs. The first person she sat down with stated they were on the fence about going natural because she wasn’t sure how she would be viewed without her hair relaxed or in a weave. She also stated that she had spent over $20,000 on maintaining her straight hair look and had even skipped paying bills to ensure her hair was done. That blew me away, and left me wondering how much money I had spent on getting my hair done. I did a rough calculation and came up with $5,760 over 12 years. What a shocking realization. Here is a clip from Tyra’s show, where she was asking some little girls about their hair and how they felt about it. I remember watching this back then and feeling the same way I did after watching it today— heartbroken. It was saddening to hear how these girls, ranging from 3-8 years old, viewed themselves and how some of their mothers in particular were handling their hair care regiment. This episode of the Tyra show also featured a mother and her adult daughter’s relationship being strained by the fact that her daughter decided to go natural after having long relaxed hair. Per mom, her daughter “no longer had the appearance of her daughter” so she avoided introducing her to people. Lori Tharps the author of Hair Story was on the show and discussed why the term “good hair” had such an impact in history. I haven’t read the book, but I recently purchased it from Amazon. I’m looking forward to reading it. We still have a long way to go before we can let go of this term “good hair,” the context of what it means, and why we insist on using it. It’s a bad habit that should definitely be broken. Luckily this beautiful little girl, Ava Marie, is blessed to have parents who plan to teach her about self-love, confidence, and embracing her natural beauty. Meet Ava Marie Greenwood, daughter of Andre, 33 and Naima Greenwod, 32. Ava, pronounced Ahvah is a vibrant one and a half year old little girl. 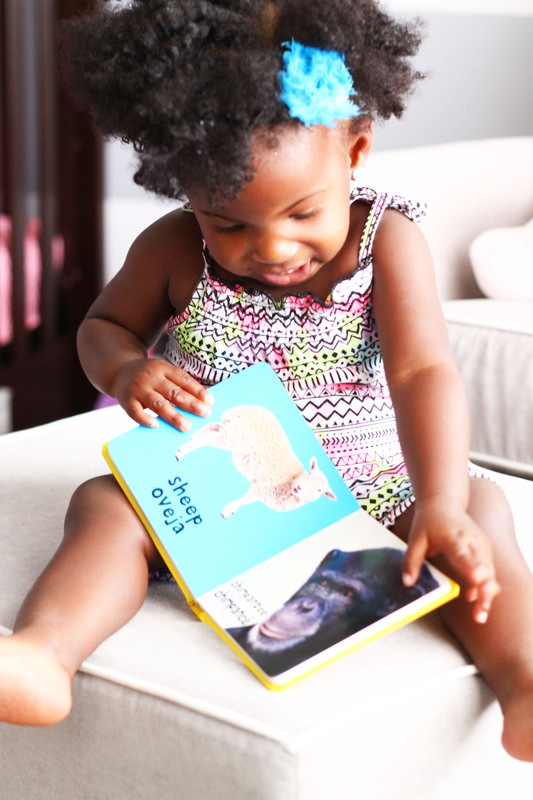 Born June 27, 2014, Ava enjoys reading, singing, and dancing. 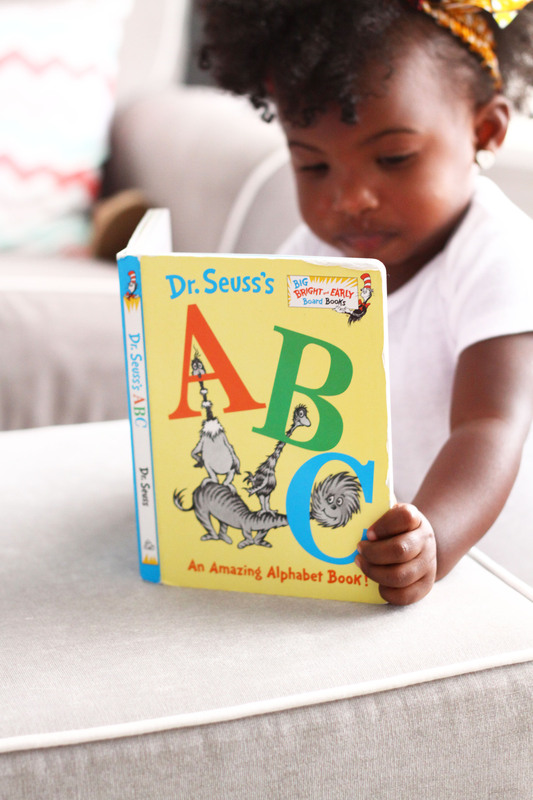 Her favorite book is Where is Baby’s Belly Button? 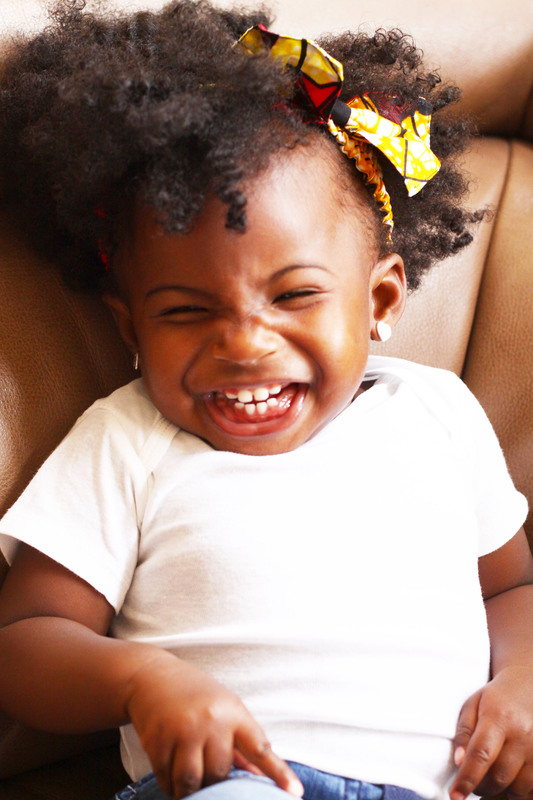 She loves to eat rice & peas, oxtail, and applesauce, though not necessarily in that order. When asked about her hair care, Naima said, “I primarily keep Ava’s hair in protective styles, shampooing and deep conditioning every 2 weeks using the Jamaican Shea Moisture black castor oil line. I use design essentials naturals leave-in conditioner and daily moisturizer for maintenance.” This ensures that Ava’s hair is well taken care of and hydrated. I went on to ask Naima and Andre about what it meant to have a daughter and what they would like to teach her about herself and her hair. 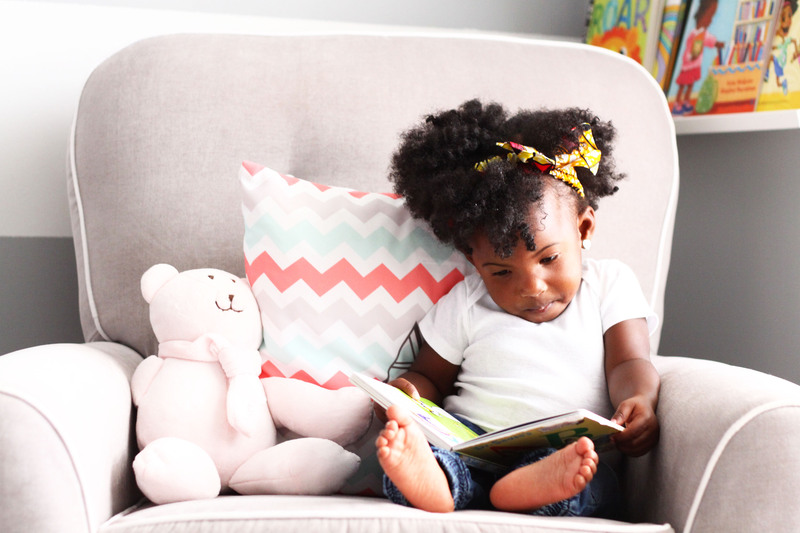 I captured Ava at home doing one her favorite things, reading! I personally know Ava and she has a smile that will light up a room. 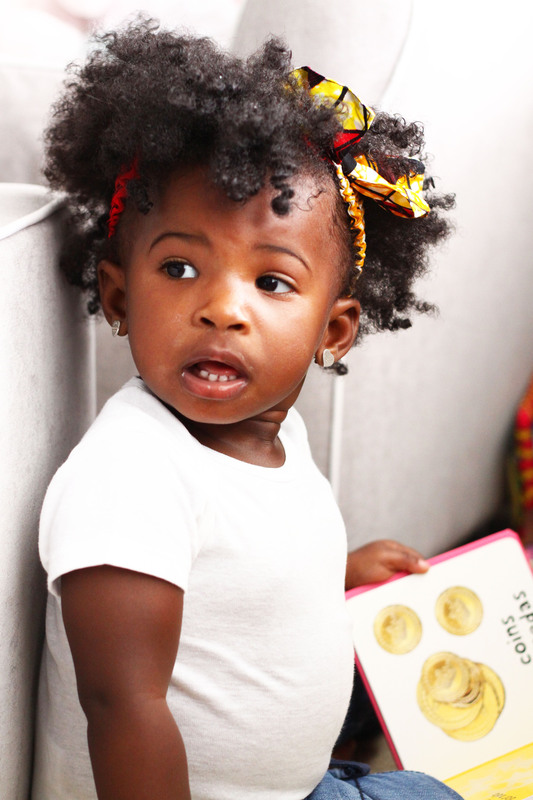 I love that little girls like her will grow up embracing their natural hair with the cutest protective styles like Ava’s mom does to her hair. I think this blog captured all the beautiful highlights of my little cousin Ava Marie . She’s so personable and an outgoing little girl. Her natural hair is beautiful just as she is. Wonderful article on Ava Marie Greenwood! Ava Marie is beautiful and she has amazing parents. It is great to see we are embracing or natural beauty and that we are teaching our children to love who we are. I take extreme pride in being the father of Ava Marie Greenwood. Ava is a beautiful Nubian Princess, with a smile and personality that warms your heart. My wife and I will continue to teach our daughter to love herself immensely and know God didn’t make a mistake when HE created her. 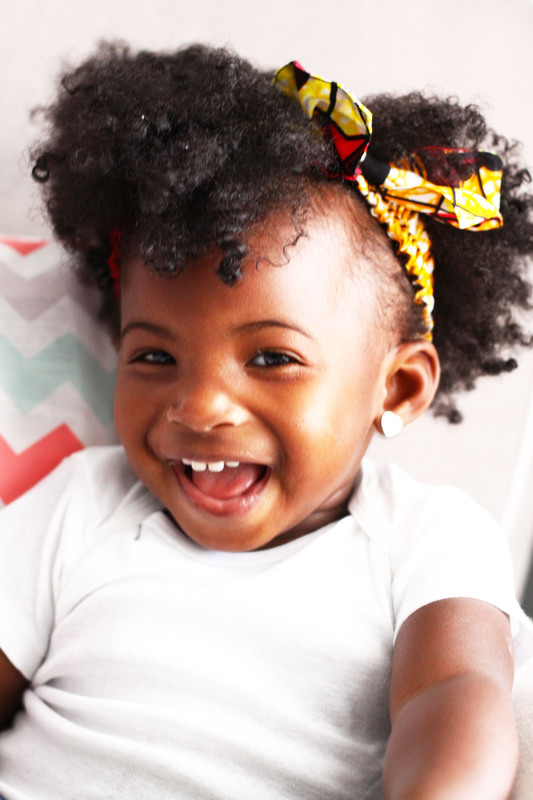 We’re embracing healthy and natural hair; Ava will grow up to take pride in her natural beauty. Thank you Kareena for this wonderful blog and the magnificent photos of Ava. God Bless! We are so honored our daughter Ava was chosen as a feature on Kareena’s blog. This feature is so much more than cute hair, but really drives the message on loving ourselves and making sure that is passed down to the next generation of leaders. 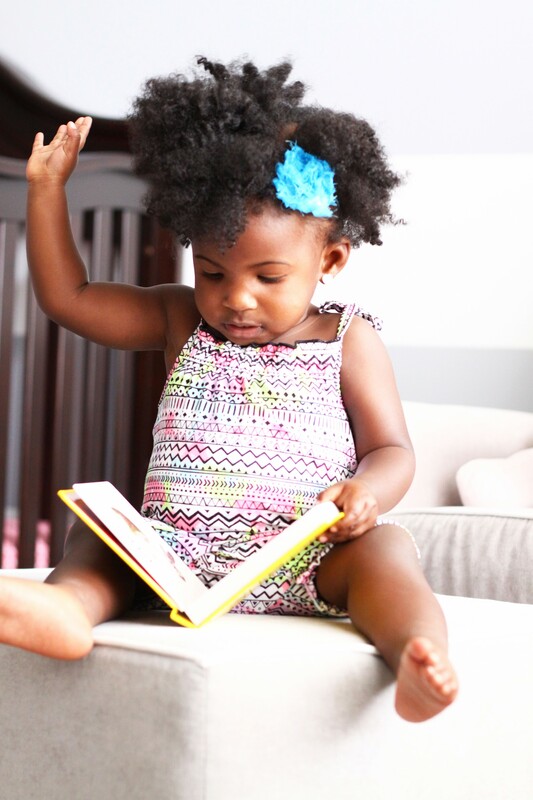 We are raising a little queen who will possess beauty and the brains to match. Thank you Kareena for allowing Ava to be your muse. Beautiful photos on a beautiful child! What a beautiful baby girl! I absolutely love that her parents are teaching her that she is much more than just a pretty face, and that education, hard work and self worth are the pillars of a happy, productive and successful life. It’s super important that we empower, engage and educate our young girls so that they grow up to be happy, well adjusted women who understand that their value is not determined by a man’s appraisal. Looks like Ava is well on her way! Great read and photos! It was such a pleasure to see our little princess Ava, featured in this blog. It was beautifully done. It Captured Ava’s natural beautiful smile. What a wonderful job her parents are doing. Such a beautiful little girl! Both parents sound amazing- dad seems so in tune with the importance of affirming his beautiful princess. The photos captured here are yummy! Side note: Miss Ava and I share a birthday! Naima and Andre you have been given the challenge of raising a precious gift from GOD. This sweet , happy, lively , precious AVA will continually reflect the goodness both of you possess. Just take a look at the pictures. Her hair is definitely on point!!! Naima keep doing your thang!!! !